Democratic New Mexico Gov. Michelle Lujan Grisham ordered the majority of the state’s National Guard troops away from protecting the southern border Tuesday. “I reject the federal contention that there exists an overwhelming national security crisis at the southern border, along which are some of the safest communities in the country,” Lujan Grisham said in a Tuesday statement only hours ahead of President Donald Trump’s State of the Union address, The Hill reported. “New Mexico will not take part in the president’s charade of border fear-mongering by misusing our diligent National Guard troops,” Lujan Grisham also said in a statement, according to The Associated Press. 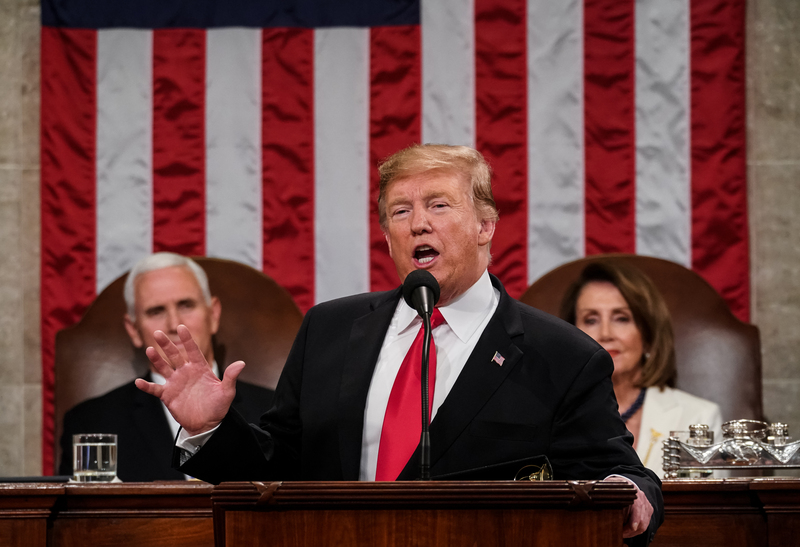 Lujan Grisham made her statements shortly before Trump delivered his address, as media and leaders on both sides of the political aisle expressed concern over Trump’s threat to declare a national emergency in order to build a border wall. A majority of the 118 troops currently stationed along the southern border will come home. Roughly a dozen officers will remain at the border to assist with humanitarian needs, according to the governor. State police will help the remaining troops as needed, according to a press release from the governor’s office. The governor did recognize that protection is needed in some areas of the state especially. “However, I recognize and appreciate the legitimate concerns of residents and officials in southwestern New Mexico, particularly Hidalgo County, who have asked for our assistance, as migrants and asylum-seekers continue to appear at their doorstep,” Lujan Grisham said, according to The Hill. “It wouldn’t surprise me that she timed this release to send a direct message to the president,” a senior Democratic aide told The Hill. “Simply put, walls work and walls save lives. So let’s work together, compromise, and reach a deal that will truly make America safe,” Trump continued. Border wall apprehensions jumped 61 percent in the first quarter of 2019, according to data from U.S. Customs and Border Protection. Lujan Grisham did not respond to The Daily Caller News Foundation’s request for comment in time for publication.